When I was a newbie mom blogger last year, I was always on the look-out for moms who are writers. As in those who have lengthy posts and not just product reviews, giveaways, event aftermath, etc. I wanted to read their stories and be able to connect with them; as I felt that I was after storytelling like they do. 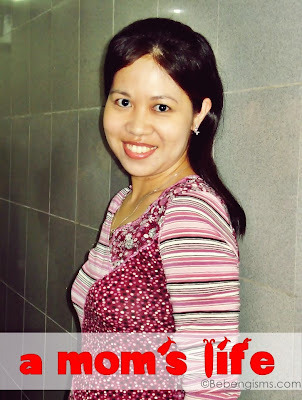 Unfortunately, around July of 2012, I started to do some 'commercial blogging addiction' that I forgot that originally, I was a storyteller. 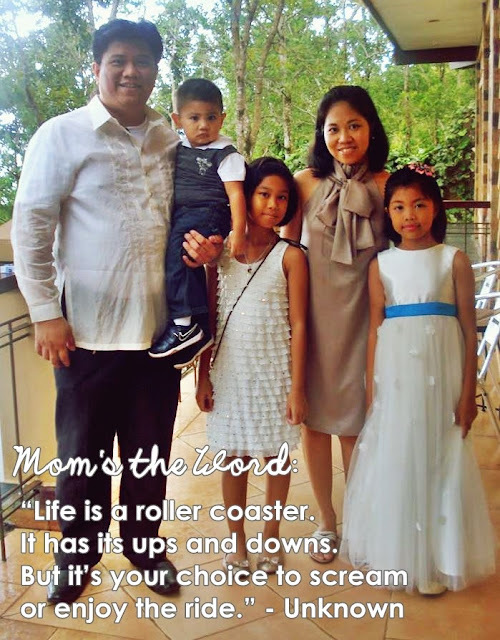 One of those mom bloggers I read was Janice of The Roller Coaster Ride. I think the first post I read from her blog was a book review. I grew up loving books and actually reading them in one sitting (or two). Then I read her 'about me' section and was surprised that she has a 'blended' family. Eventually, I 'backread' her past posts and would always check if she has new. We instantly became cyber friends. Grabbed from Roller Coaster Ride's Facebook page. Like her page here. CHILDREN, AGE: There’s Zoe (11) and Ziya (10), who are my kids with my ex. Then, there’s Ziggy (2), my son with present partner, Jon. Yes, we’re a blended family. 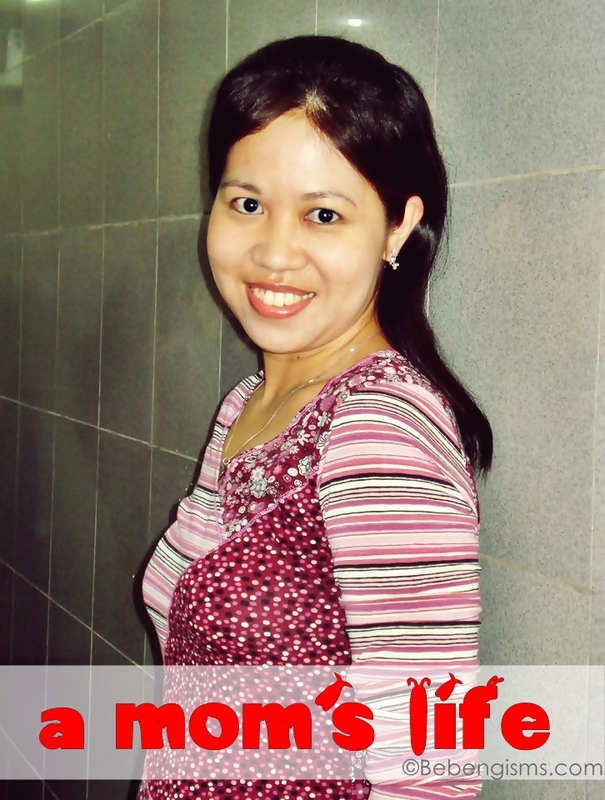 OCCUPATION: I’m a WAHM (work-at-home mom) working as a Freelance Writer, Social Media Manager & Virtual Assistant. FAVORITE OUTFIT: It depends on my mood. I could be a girly-girl in a dress today then be all casual in a nice top and jeans (or shorts) tomorrow. MUST-HAVE BEAUTY COSMETIC: I cannot leave home without applying the following: eyebrow pencil, Maybelline BB Cream, Maybelline Face Powder, Human Nature Lip Balm, Human Nature Mineral Lip Gloss and Human Nature Mineral Blush. CURRENT READ/WATCH: Currently reading Breaking Night by Liz Murray. I always try to watch at least an hour of TV every night, when I need to take a break from work. I love Grimm, Walking Dead, Parenthood, Hart of Dixie, Nikita, and lots more. Haha! PET PEEVE: I’m known as being a bit OC. I really hate it when people are late or have no sense of responsibility. It also irks me to see “kalat” everywhere. I will literally stop whatever I’m doing to put things back where they belong. I also don’t like it when people ruin my plans. I’ve always been a control freak because I’m the eldest of five kids. Our parents separated and my dad was diagnosed as bipolar. I had to grow up fast and sort of take care of everyone. I’ve always had not just a Plan A, but also a Plan B and C.
However, over the years, so many unexpected things happened in my life, including the failure of my own marriage then finding love again. People say I can make a movie or a telenovela out of my life story. There have been so much pain and tragedies. But I never lost hope. I knew that it would only be a matter of time for things to get better. That’s why I try to steer clear of people who live life like a victim. I can take only so much drama in my life. I’ve learned that no matter how much planning you do, you never really know where life will take you. So, I’m more relaxed now, more open to adventures and more into living life day by day. I’m learning to let go and let God. 2013 GOAL: Career-wise, my major goal was to launch my career as a WAHM and be able to work regularly with clients and earn enough to contribute again to the family income. Thankfully, I was able to do that less than a year into WAHM-ing. As a family, our major goal was to take the kids to our first beach trip as a family of five. We were able to do that last summer. DREAM FOR CHILDREN: I dream that they’ll always have a zest for life. That they’ll find their true passions and be able to live their best life no matter what happens. That they’ll always have each other. That they’ll never feel alone and instead, always feel loved.